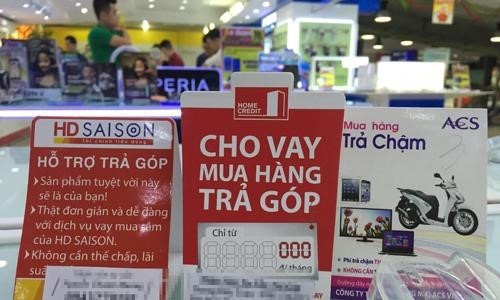 HÀ NỘI — Non-banking financial companies (NBFC) may be allowed to set up a maximum of three branches in a fiscal year. It was drafted in a circular released last week by the State Bank of Việt Nam (SBV) asking for comment. The draft circular states that NBFCs with operation duration of less than 12 months (from the date of inauguration to the time of proposal) are allowed to set up two branches at maximum while the number for NBFCs with operation duration of more than 12 months is three in a fiscal year. One branch cannot be managed by more than three transaction offices. NBFC includes general financial companies, factoring companies, consumer lending companies and financial leasing companies. To qualify for the opening of domestic branches and transaction offices, NBFC must comply strictly with regulations on debt classification and risk provisioning according to the SBV’s regulations. Besides this, they are required to meet regulations on the ratio of bad debt to total outstanding loans of under 3 per cent or as decided by the SBV governor in each period. To set up a branch abroad, in addition to meeting conditions as the opening of a domestic branch, NBFC must have a minimum operation duration of three years and total assets of over VNĐ20 trillion (US$877.19 million) according to audited consolidated financial statements. They must also make profits for three consecutive years before the year of making the proposal. Under the draft, the SBV governor has the authority to approve or disapprove the establishment of NBFC; termination of operation or dissolution of domestic branches, transaction offices and representative offices; as well as the establishment of branches and representative offices abroad.